KGI Securities analyst Ming-Chi Kuo issued a research note to investors today in which he said Apple's current iPhone X production totals less than just 10,000 units per day. For this reason, Kuo anticipates the iPhone X will remain in "severe short supply for a while" following its expected launch later this month. 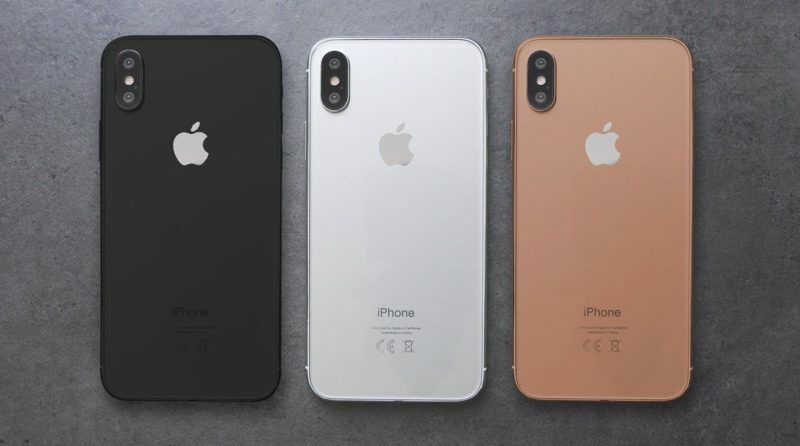 Kuo also anticipates that the so-called "Blush Gold" colored iPhone X will encounter some production problems and will initially be available only in "extremely low volume." He said there is even a chance that the gold version will go on sale at a later date than the other colorways, which are rumored to be silver and black. Apple is expected to unveil the iPhone X, a new Apple TV with 4K video, and Apple Watch Series 3 models with LTE at its first-ever event at Steve Jobs Theater tomorrow. Join us at 10:00 a.m. Pacific Time for complete coverage. my box of crayolas says that's "Copper"
If true, 10k per day isn't a supply constraint, it's a model that can't be released. If you extrapolate out, with their starting production in the last 30 days, that's 300k units for launch. There is no way they would offer it for sale if that's what they're sitting on now. Maybe with 3m units on hand, but then they'd need to be producing ~1m units per day to satisfy what I expect will be initial demand of 30m units in the first 30 days. That makes people want it more, and ultimately more forgiving of an exorbitant price tag. Well I just plan on doing what I normally do which means waking up to order at 3am and just see what day I get. Is what it is. Someone should invent a drinking game where everytime the phrase "KGI Securities analyst Ming-Chi Kuo" is mentioned we take a shot. As long as I can get a 256GB iPhone X in “black”, all is good. I'd prefer them to delay launch than to announce something that won't be available to most people for months. All this is going to do is stress us all out when preorders start. I also think it's shortsighted to say it won't have an impact on Apple's bottom line. Customers have two high end phones - the X and the Note8. One of them isn't available for ages and the other is. Your phone contract is up. What do you do? Apple is playing a dangerous game assuming everyone's just going to hang on until they sort themselves out. No worries. Our friend Raffi will hook us up again. Really hope it's not true! Wish everything goes well with production so we don't face severe shortage at lunch. I really want my hands on that Blush Gold color. "You guys, the phone that has not been announced yet is delayed!" ZOMG! !